Come be our guest! We know that you have lots of options when looking for a church home. It can certainly be a difficult endeavor. Our prayer is that you will find a place where you will not only grow, but flourish! Whoever you are, whatever your story may be... we know that God has a plan for you. We would love to walk along with you on that journey of faith. Whether you are a Biblical scholar or athiest, life-long disciple of Jesus Christ or seeker... you are welcome here. First Presbyterian Church offers a FPC 101 Class, where you can learn more about our church and how to join, on the last Sunday of each month at 9:00 a.m. in the Library. For more information about FPCR, please call the church office at (972) 235-2316. We recieve new members on a regular basis, after a brief meeting with representatives from the session. 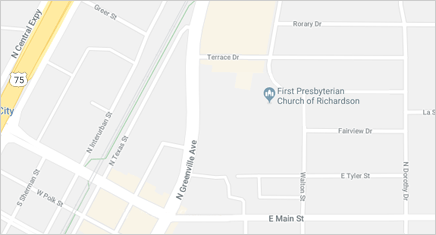 If you are interested in joining First presbyterian Church of Richardson, please contact Pastor David at david@fpcrichardson.org to schedule a meeting.